The big news of the day was Manchester United’s entry into the Alexis Sanchez race, with Di Marzio breaking it and others following. We’ll have a special City Watch Podcast tomorrow with information from one of the most well-informed Chilean journalists on the topic. Both Man United and Man City have made a bid to have Alexis Sanchez now; or a contract bid to sign him as a free transfer in June. In a huge moment for both the player and his club, Kevin De Bruyne became the first ever City player to be voted into UEFA’s Team of the Year. Ohh, Kevin De Bruyne! Some positive news on Gabriel Jesus, who has visited Barcelona and may be off crutches shortly. After tests, it was determined that he should still return within 4-6 weeks from when he was injured (11 days ago). Mark the 28th down on your calendar, as that’s when City will play their FA Cup fourth round game against either Cardiff or Mansfield. The FA have announced that Manchester City's FA Cup fourth round trip to either Cardiff or Mansfield will be shown on BBC One and played at 4pm on Sunday 28 January. Despite apparent interest from Everton, promising teenage striker Lukas Nmecha has pledged his future to City by signing a new three-year extension. 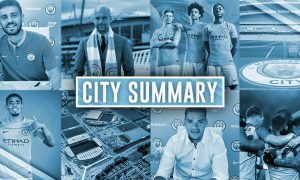 City have announced that 19-year-old Lukas Nmecha has signed a 3-year contract extension with the club. Marlos Moreno could be heading back to South America, with Brazilian side Flamengo keen to loan the City winger, who is currently stationed at Girona FC. Another player relocating is Isaac Buckley-Ricketts, who hasn’t seen much game time in Holland and is heading to Oxford United. Words from the iconic Roberto Mancini on City today, and he seems to love what Pep is doing with his former club. 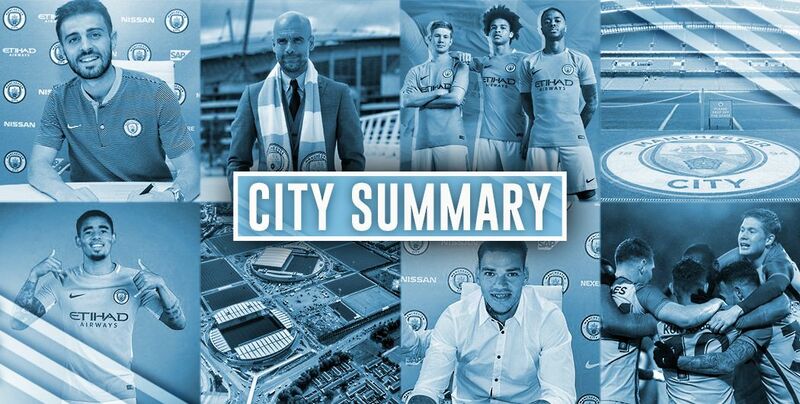 As mentioned, we’ll have a City Watch Podcast Transfer Special tomorrow morning, but today we released the fifth episode of our weekly show, so be sure to listen to the leading Manchester City podcast hosted by none other than Ian Cheeseman! The CWP can be found/followed on both SoundCloud and iTunes.  CITY WATCH PODCAST – EPISODE 05 @IanCheeseman is joined by @RCorless33, @Adam_Wareing & @kippaxgirlemily for an hour of City chat, covering the Burnley and Bristol City games, Alexis, Liverpool, and a big chat about empty seats/attendances!